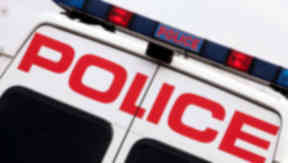 Lothian and Borders Police said it was too early to say whether the man's death is suspicious. The body of a man has been pulled from Leith Docks in Edinburgh. Detectives are waiting for the results of forensic tests to establish the cause before ruling whether or not to the death is suspicious. Specialist teams of divers were called in to recover the body at around 9.40am on Monday while teams of officers scanned the area for clues. Police confirmed that the body of a 51-year-old man had been pulled from the water. One eyewitness reported seeing police divers and a private ambulance at the scene. A police spokesperson said: "The death of a 51-year-old man, whose body was recovered from the Water of Leith earlier today, is being treated as unexplained."